Court reporters in San Jose, CA aren’t just helpful in the courtroom. They are also integral parts of depositions, business meetings, and other kinds of record keeping. There is a reason why professional court reporting services are in high demand. Watch this video to learn more. Thousands of court reporters are set to retire in the next few years, leaving behind a long list of vacancies. While technology can be a helpful supplement to court reporting, it is not accurate enough to take the place of human-led services. For this reason, developing a relationship with a company that supplies court reporters is essential for legal businesses and other companies that require accurate minute records. At Pulone Reporting Services, we’re committed to providing the most technologically advanced, comprehensive, and professional court reporting services in San Jose, California . Our goal is to be a one-stop shop for all of our clients’ needs, including court reporting, legal transcription, court interpreting, video conferencing, teleconferencing, document digitizing, and legal videography. For this reason, we offer the use of our high-tech conference room for clients who need teleconferencing or video conferencing solutions. Your conference room rental gives you access to state of the art teleconferencing and video conferencing technology, including HD televisions and monitors, high quality speakers, a T1 telephone connection, and incredibly fast wifi. All of our technology is reliable, efficient, and easy to use, and we also provide tech support before and during your meeting. Our conference rooms can accommodate large and small groups, and is comfortable, clean, conveniently located, and ADA compliant. We also provide important meeting tools, like charts, whiteboards, and supplies. We offer conference room rentals at facilities throughout California, in most major U.S. cities, and in over 300 facilities round the world. If you can’t hold a face-to-face meeting, our conference room rentals are the next best thing. Video conferencing may be a part of your day to day business practices, because this technology has become easier to use and readily available to connect clients and colleagues from anywhere in the world. When you need video conferencing services in San Jose, you should seek the services of a professional video conferencing and court reporting company to ensure that you have the latest technologies at your fingertips. This video discusses more of the details of video conferencing and its potential for becoming an integrated part of your business. Many companies will overlook the benefits of video conferencing beyond its use as an internal communication tool, but there is great potential for using video to communicate with other businesses and clients as well. Video conferencing has become commonplace in corporate environments and courtrooms, as it allows parties to connect in real time from anywhere in the world. Whether you are hosting a meeting with international clients, conducting web-based interviews for remote employees, or setting up a video deposition in San Jose, it is important to work with a trusted provider of video conferencing services. 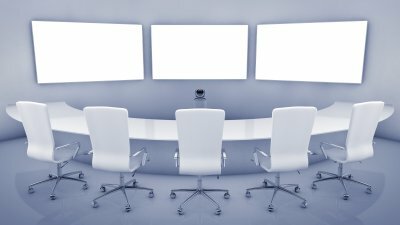 As you prepare to host or participate in an upcoming video conference, remember these key tips for conducting a professional meeting remotely. 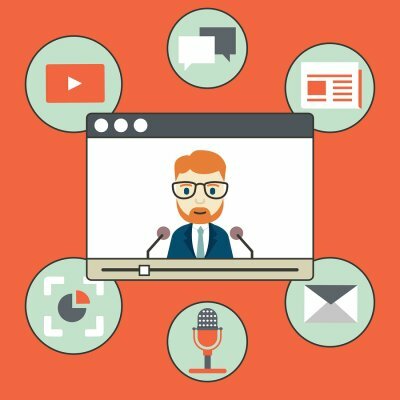 As a general rule, any behavior that would not be acceptable in an in-person meeting will also be considered unprofessional in a video conference. Side conversations, text messaging, and interruptions should all still be avoided when you are participating in a video meeting. Looking into the camera throughout the meeting and wearing professional clothing are advisable for video conferencing. While having a trusted video conference service will enhance the quality of your audio, you may still need to make an effort to annunciate clearly and speak slowly to ensure that all participants can you. You will want to avoid yelling or shouting, but speaking with a clear volume and tone is essential for helping the meeting go smoothly. If you are the meeting presenter, try to avoid excessive hand gestures and be sure to provide a shared screen so that remote participants can follow along with your presentation. If you are calling in to a video conference, you should make sure that you have a quiet space available to minimize distractions. Barking dogs, ringing phones, or other background noises can be a significant interruption for others on the call. Muting yourself while you are not talking or wearing headphones for the call is also helpful for minimizing excess background noise.